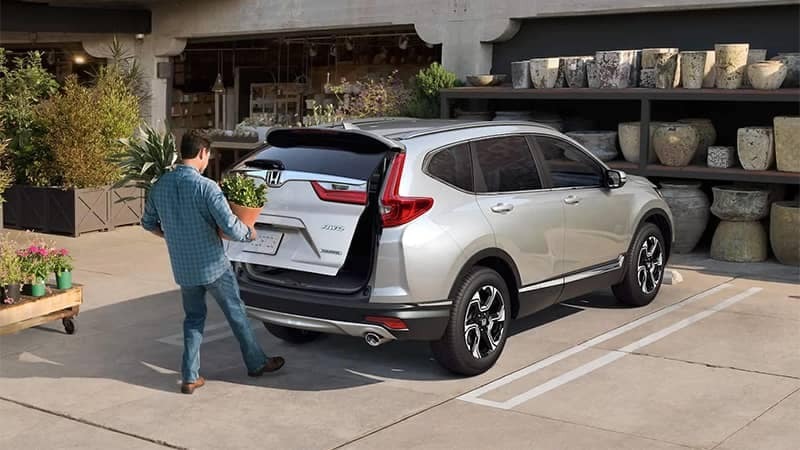 The 2019 Honda CR-V is a compact crossover SUV that is a titan on the road. Versatile inside and out with available AWD, the CR-V is poised for adventure and offers the comfort, technology, and conveniences that make day-to-day driving go much more smoothly. U.S. News and World Report ranks the CR-V at the top of its class and call it a “hit out of the park.” Coming in four trim levels, there is a model that is right for every driver—from the comfortable entry-level LX to the high-tech Touring. The entry-level LX model starts the entire model lineup on a high note. It offers a long list of features that bolsters comfort inside and provides helpful conveniences for everyday driving. 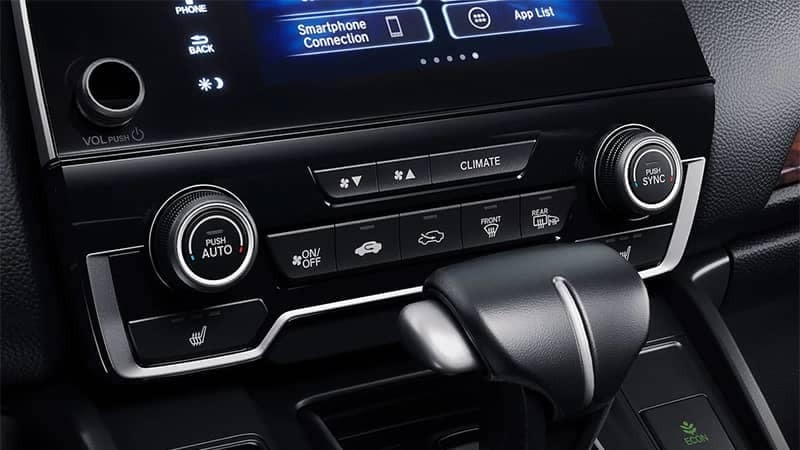 Automatic climate control keeps everyone in the cabin supremely comfortable, no matter what the weather might be. With controls mounted on the steering wheel, drivers can adjust the audio, temperature, and more, without taking their hands off the wheel. The LX model doesn’t skimp out on entertainment and technology. 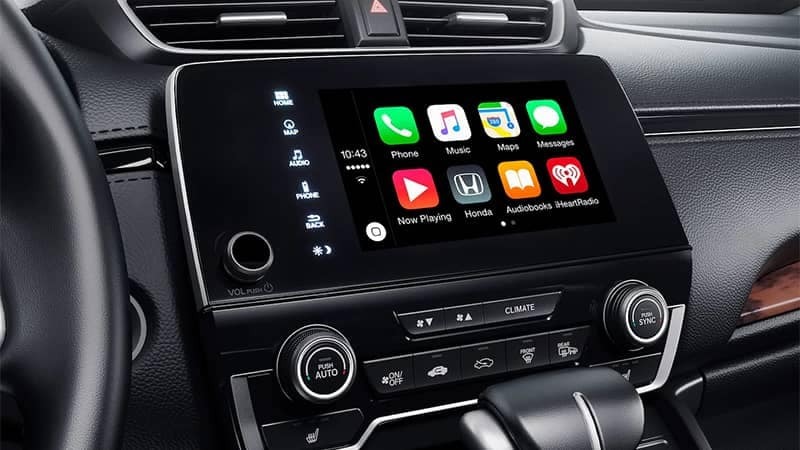 Whether you’re on a long road trip or trying to make it through a traffic jam, the CR-V allows drivers to stream their favorite music or podcasts via Bluetooth technology. 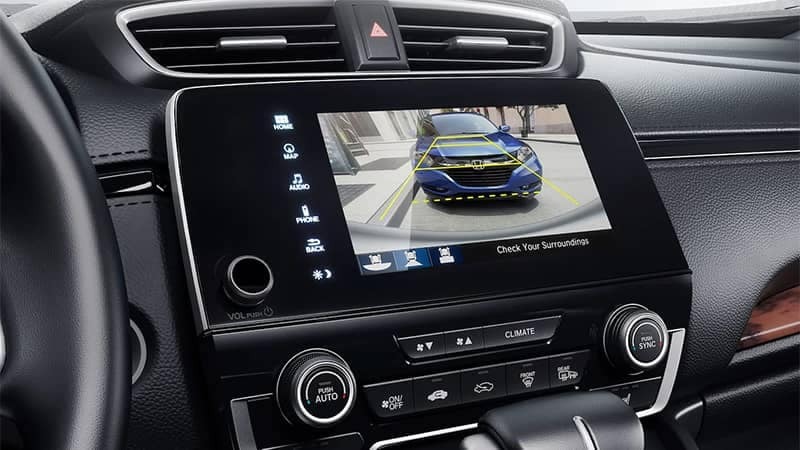 With safety as a top priority, the CR-V includes an extensive list of standard safety features including a multi-angle rearview camera that allows drivers to check their surrounding before backing up. 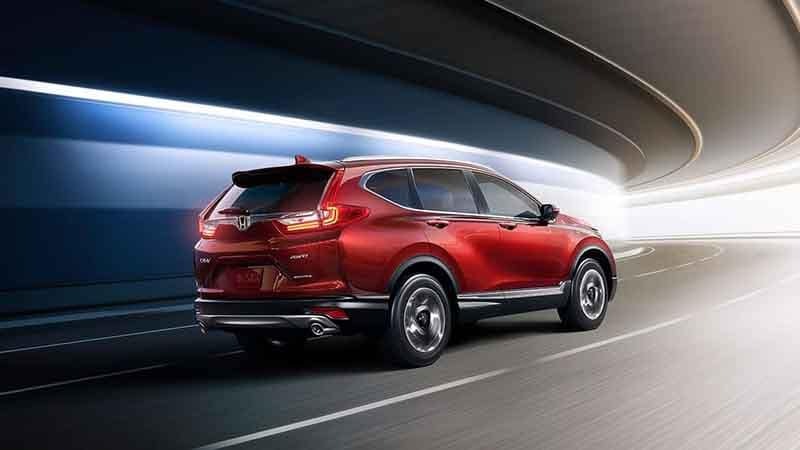 These features also ensure the CR-V is performing at its best and maintains good tractive control on slippery roads, as well as come to a complete stop more quickly. 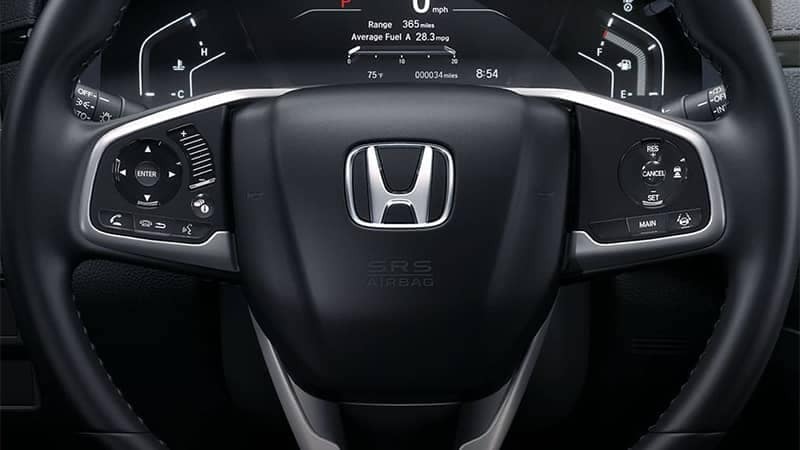 Honda Sensing is a suite of driver-assistive technology that helps drivers drive more safely on the road. The package comes standard starting on the EX model and includes state-of-the-art technology systems that warn, prevent, and mitigate incidents and impacts. For drivers looking for more features than the entry-level model, the EX adds upgrades and additions to the equipment list. Drivers can stay better connected with smartphone integration and text message function. And heated front seats adds comfort to help you get through those frigid winter days. The EX-L picks up where the EX leaves off and swaps the cloth seats for a leather-trimmed interior. The EX-L is a great mid-level trim to consider for drivers who want more touches of luxury inside the cabin, but don’t necessarily need all the features on the top tier model. At the top-of-the-line is the Touring model. 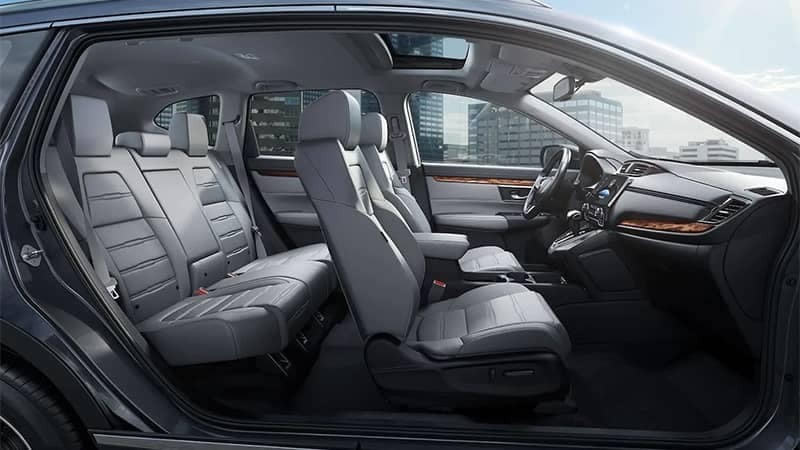 It’s the CR-V with the most in terms of luxury, comfort, and technology. The Touring adds a navigation system that includes voice recognition, so drivers can find the best routes to their destination and even input instructions without taking their hands off the wheel.